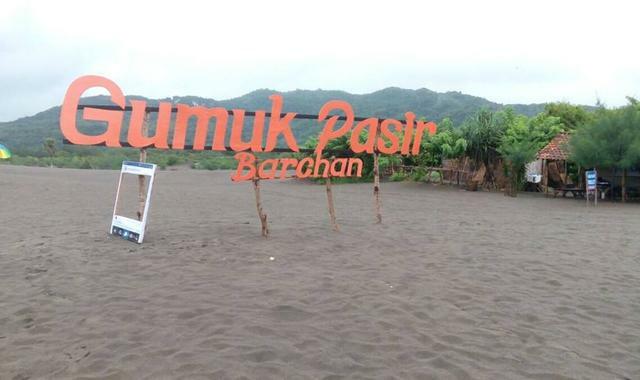 Parangkusumo Beach is located in Yogyakarta, close to Parangtritis Beach. 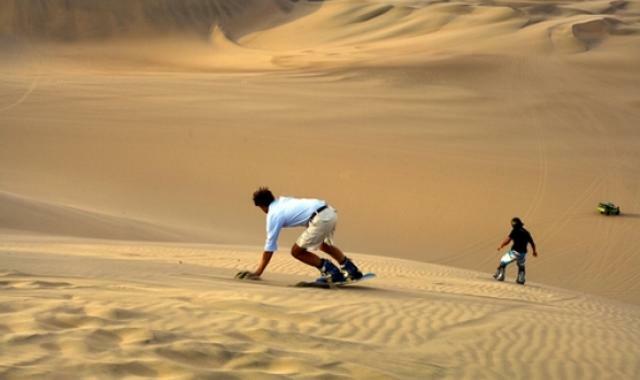 On the beach, there is a stretch of desert. 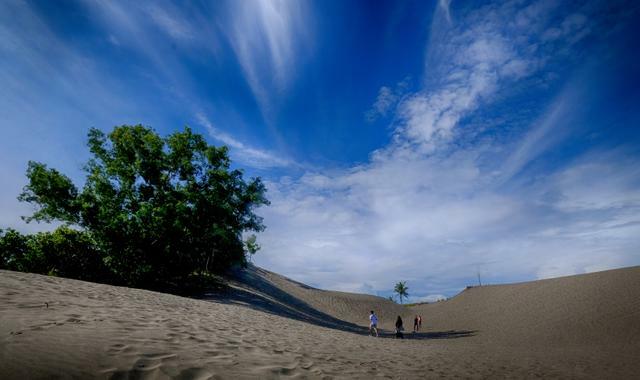 The desert formed a mound called Gumuk. 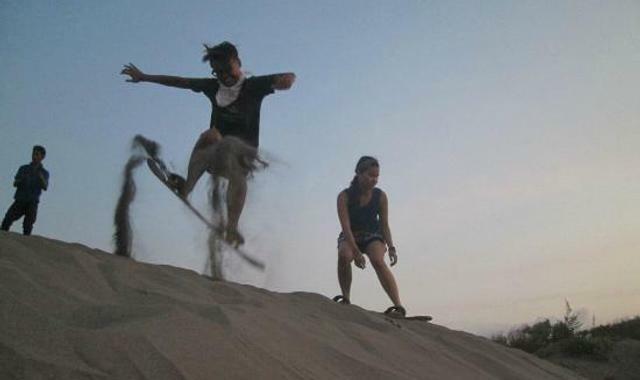 Sandboarding is a sport similar to skateboarding and surfing. 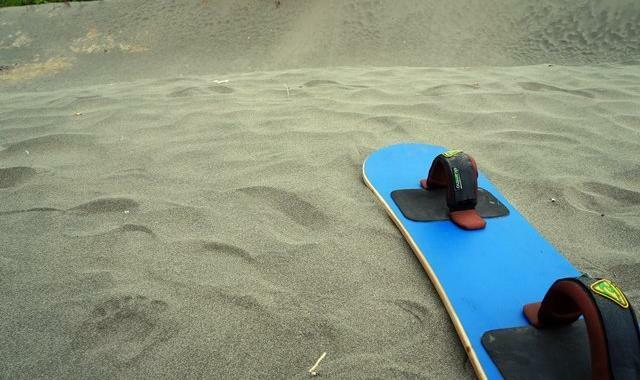 The main point of these three sports is sliding by board or board on a track. 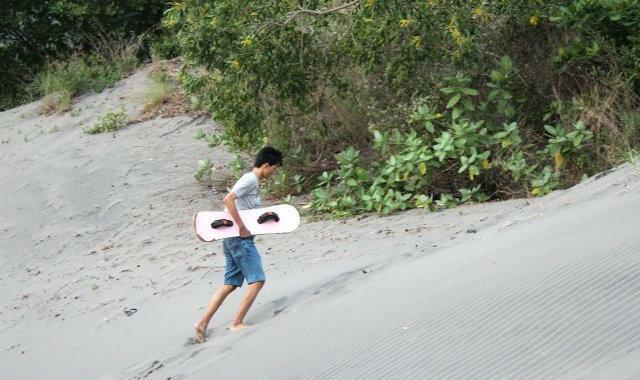 If the skateboard is done on asphalt or special lane and surfing is done above the waves, then sandboarding is done on the sand.